Travel merchants start every New Year hankering for new, novel, and glamorous global travel adventures to offer customers. Yet they still have to keep their eyes focused on the bottom line. When coupled with increasing competition — global economic and regional turmoil — natural and manmade disasters — and other events that keep people home, the travel industry isn’t for lightweights. Global travel is easier and cheaper than ever before. People from near and far decide to go somewhere else for a while, to experience what life has to offer in locations different from their natural habitats. But as travel merchants know, consumer interests can be fickle… and good merchants meet consumer preferences or go bust. Amidst usual travel industry changes, the advent of industry disruptor Airbnb and the explosive growth of other online travel tech options create worries for some about staying afloat. So do changes to payment card practices, regional directives, and consumer protections. But think about this: Might these challenges also create opportunities to expand business, even as they deliver more challenges, like increased fraud? YES and YES. That’s why we’re here to explain that a more sophisticated payments operation can help travel merchants take advantage of the opportunities — and withstand the fraud. Thrifty travelers, and those who want to “book unique homes and experiences all over the world” turn to Airbnb when they want to feel at home wherever they go — and less like tourists. Travel merchants in the know can’t doubt that Airbnb and competing services represent the immediate future of the travel industry. While most can’t book stays for clients on Airbnb, it’s begun — and might expand over time, even as lobbying heats up for more regulations. Meanwhile, the Experiences app from Airbnb could open horizons for online travel merchants everywhere. Tourists use the app to book hands-on tours and unique workshops led by local experts — and the locals sign up to deliver them. Can you leverage the trend to help your clients who choose Airbnb for accommodations? Put on your thinking cap and get creative! For example, recommend the app, a local workshop, or a guide listed on Experiences in their destination location. While it may not result in immediate cash in your pocket, think of the long-term value from building customer loyalty. As an online travel merchant, you must accept all sorts of payment cards from global customers, as well as other forms of payments. So it pays to look ahead, to plan for and manage impacts from current trends in the payments industry. Some travel merchants are guilty of “drip pricing.” They’ll advertise one price, but keep adding additional charges as consumers move through the online purchase process. Consumers don’t like it when the “all inclusive” resort adds unexpected charges to the bill for things like beach towel rentals or Internet access. Consumer protections now ensure that U.K residents (at least) enjoy protection through Package Travel Regulations. One major impact to travel merchants is that payment funds must be held in a trust account until consumers actually experience their package holidays. So expect “late payments” into your account. Another thing consumers really don’t like is when businesses of all sorts add extra charges for using a payment card — instead of cash. Government agencies have taken action, especially in Europe. As of January 13, 2018 the Payment Services Directive (PSD2) prohibits surcharges on debit or credit card purchases of any sort, throughout the EU. So far, the U.S. Supreme Court hasn’t weighed in. Which means think global, and act local. 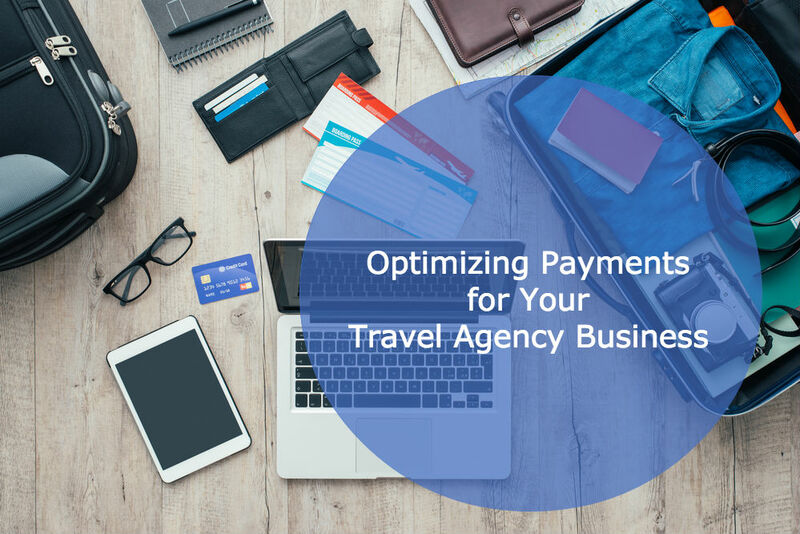 The watchword for travel merchants is flexibility in payments choices for consumers. Not all travelers — from everywhere — choose the same payment methods. Choices vary by region and by generation. For example, supporting e-wallets for millennial generation travelers — who now represent your largest target market — is a no-brainer. Find more discussion of international payment solutions here. Travel merchants operate globally, purchasing and selling products and services to consumers and other businesses. In other words, travel merchants fit squarely in both B2C and B2B worlds, globally. Be sure that your payments capabilities include handling both domestic and international transactions. Regulatory hurdles arise, and both risk level and fraud costs can spiral upwards if not managed well. Online merchants of all sorts must brace for — and fight against — card-not-present (CNP) fraud and the risk of global ecommerce fraud. Smaller travel merchants in particular should pay careful attention, and protect against fraud losses eating away at limited reserves. Airline ticket fraud is but one type travel merchants face around the world. The good news is that the good guys do good work. If you’re worried about changes to the payments landscape affecting your business success, give MerchACT a call. We’re expert in the payments industry, and stand ready to help if you need a more sophisticated payments operation that can withstand increased fraud. Our fraud protection services are tailored to fit your needs, those of your customers, and your business. Solutions include a PCI-DSS Level 1 compliant payments gateway, fraud and chargeback management tools, multi-currency processing options and much more. We want to be your business partner, and will treat you like one. As your processor, advisor, and consultant, we’ll help ensure that fraud protection and risk management practices meet your needs. Because business partners are in it together for the long haul — no matter where travel merchants choose to go.